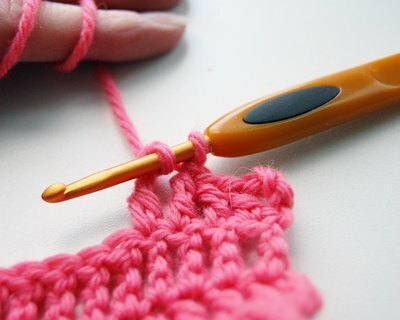 Triple crochet is one of the basic crochet stitches. 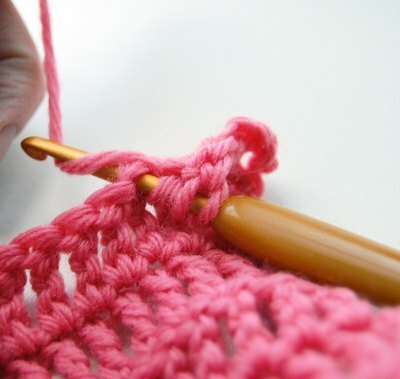 Due to the length of the stitch, the triple crochet stitch has more drape than the other basic stitches such as single or double crochet which makes it a great choice for a quick scarf or afghan. Use in combination with other basic stitches to have fun with shaping and textures. Chain as many stitches as are required for the desired width of your project. Yarn over the hook twice (wrap the yarn around your hook twice) and insert the hook into the fifth chain in from the hook, pulling a loop through. You now have four loops on the hook. Yarn over and draw through the first two loops on the hook; three loops remain. Yarn over and draw the yarn through the first two loops on the hook once more; two loops remain. Yarn over and draw through the final two loops to complete the triple crochet stitch. 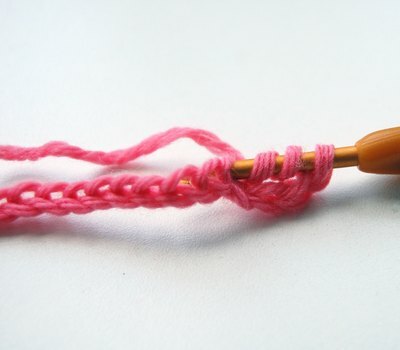 To continue, yarn over hook twice, insert hook into the next chain and pick up a loop (four stitches on the hook). Yarn over and pull through two loops a total of three times. Another triple crochet stitch is completed. Continue in this manner to the end of the line of chains. Turn your work, and chain 4. 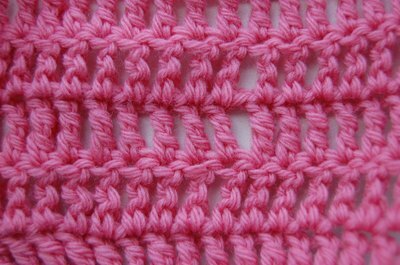 Skip the stitch in the row below, then work one triple crochet stitch into each stitch across the row, and be sure to work a triple crochet on top of the previous row's turning chain. Repeat until your project has reached the desired length. 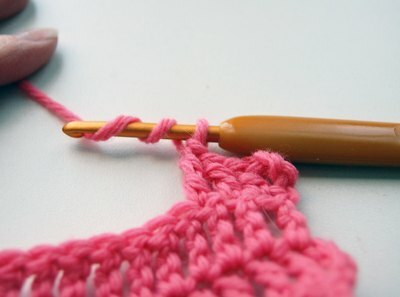 Learn how to make a treble crochet stitch with expert tips and advice on crochet stitches in this free craft video series.